SL Sports Lounge. 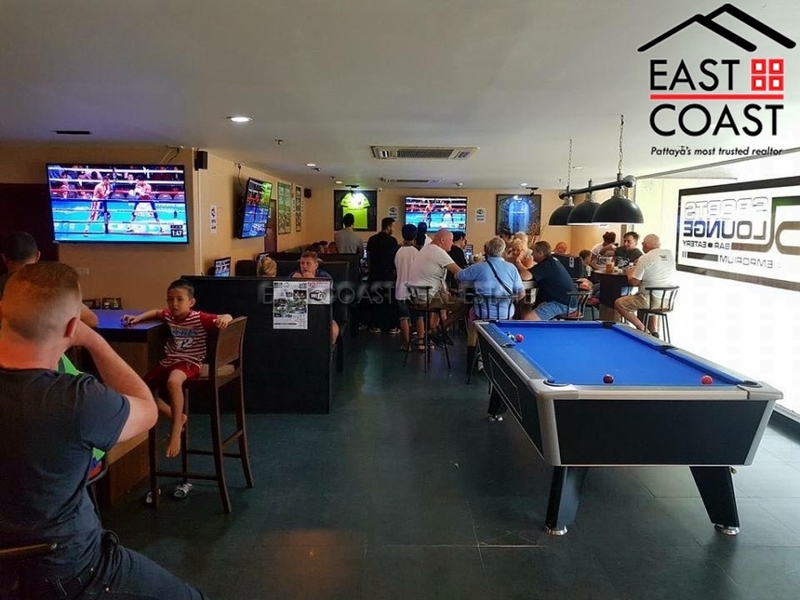 Located on the South Pattaya side of Pratumnak Hill this sports bar and restaurant is well placed close to 8 condominiums in the immediate area, plus good regular business from the regular customers collected over the years of good food, and excellent service. 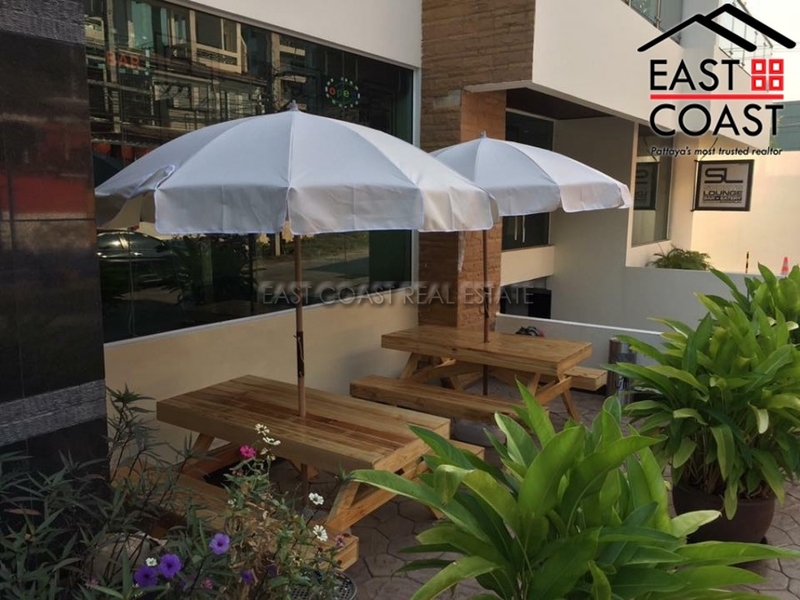 This freehold (Thai Company owned) business includes all of the fixtures and fittings of the property itself, plus the title deed for full ownership of the premises, which is 156 square metres. SL Sports Lounge can easily seat 62 people inside, and 8 people outside. 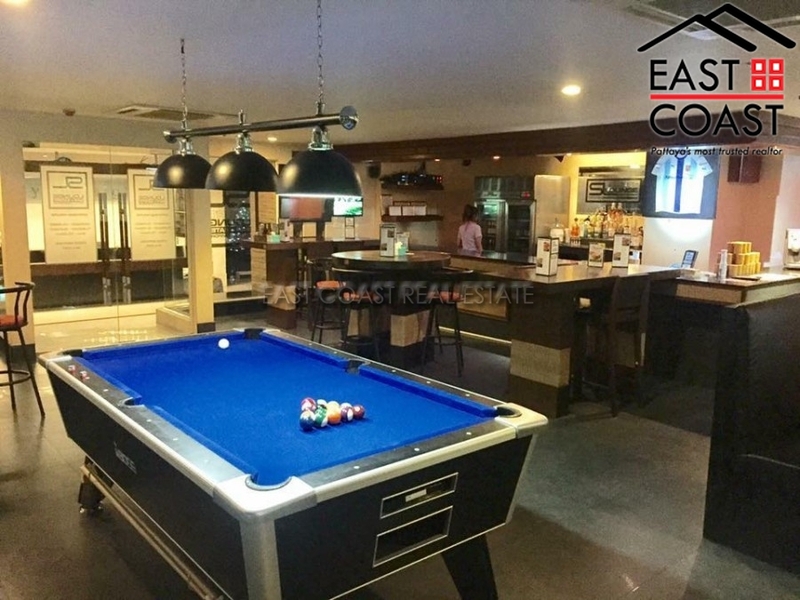 The unit is part of the Pattaya Heights Condominium, and occupies the whole ground floor wing of the building. 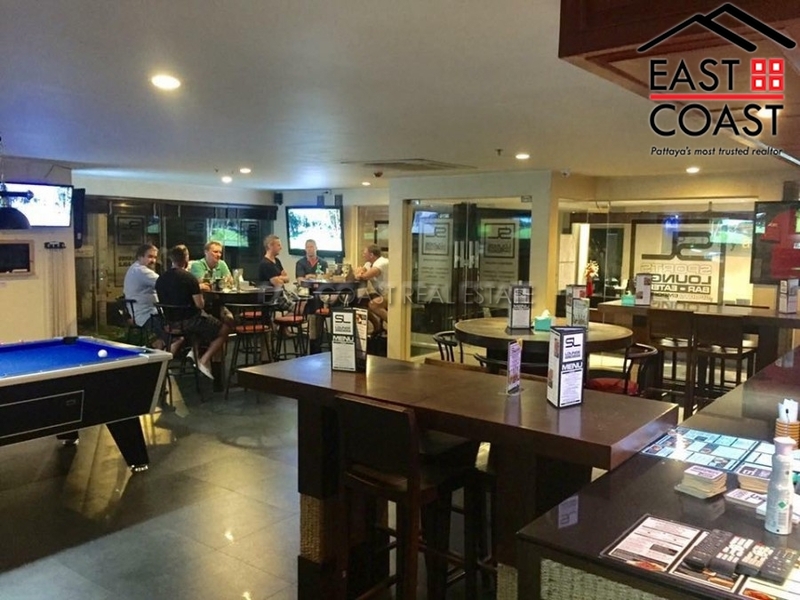 There is space at the front for customers, plus parking and the whole frontage is glass so the inside of the restaurant is visible from the road. 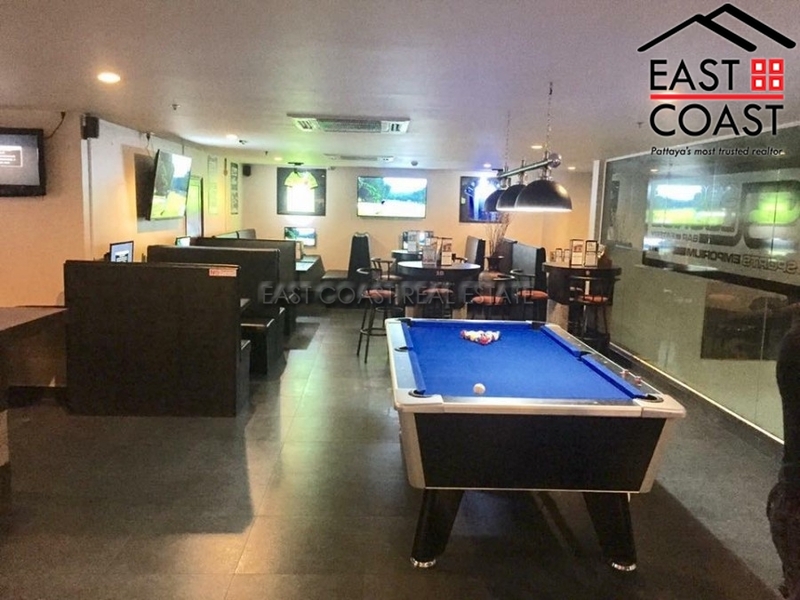 Currently the business operates successfully from the day time restaurant, and early evening bar trade, however any enthusiastic owner/manager could ‘tap into’ the regular golf societies, special deals for the co-owners inside the condominium itself, and even become part of the on-line restaurant delivery programmes. 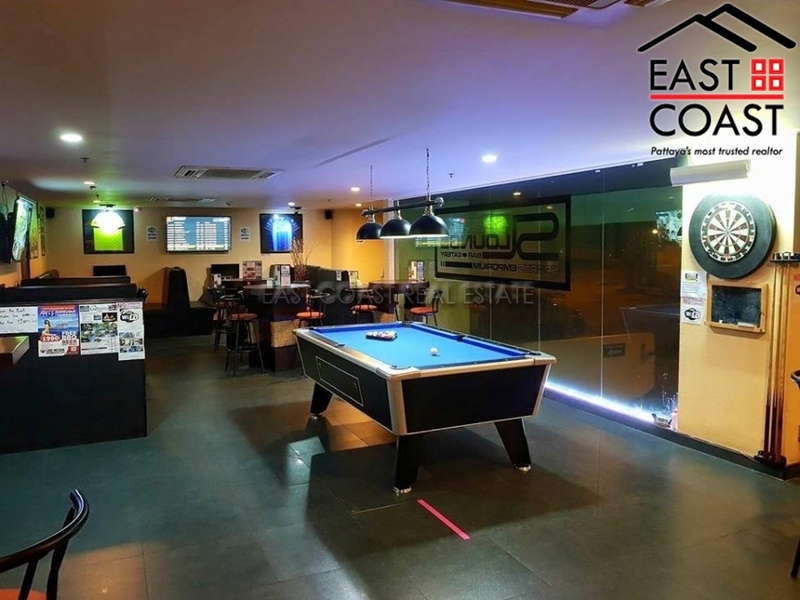 Couple this with pool leagues, darts leagues, weekend sporting events and the business could easily go to the next level.